Here at Kian Designs Handmade Jewellery we have a lovely collection of personalised jewellery perfect for those special Mother’s Day Gifts. Our NEW Hand Stamped Collection can be personalised with your choice of names, dates, quotes or messages, whatever you wish! THE PERFECT GIFT THIS MOTHER'S DAY! Here are a few handy tip for keeping your handmade jewellery sparkling! Protect your jewellery from scratches, sharp blows, chemicals, extreme temperatures, and sunlight. Ideally, store your jewellery in a soft lined box or pouch and try to keep pieces apart, so that they don't rub together or tangle up. Keep chains fastened so that they don’t get tangled up. Remove jewellery when doing household tasks such as gardening, cleaning, household repairs or other strenuous activities, or when playing sports. Apply make-up and hair spray before putting on your jewellery. Make-up and hair spray contain chemicals that may affect your jewellery, as can nail polish removers. Remove jewellery before swimming as chlorine and salt water may cause damage. Line the bottom of the pan with aluminium foil. You may also use a disposable aluminium pan. Place silver jewellery or any silver object in the aluminium pan, making sure the silver touches the aluminium. Add a teaspoon of baking soda/bicarbonate of soda. As you add the baking soda, the mixture may froth a bit, be careful not to let it spill over. Keep the silver submerge for at least 5 minutes. The tarnish will begin to disappear quickly. For badly tarnished silver, you may need to repeat this process several times to remove all traces of tarnish. Looking for that perfect unique gift for that special someone or even a little treat for yourself?! 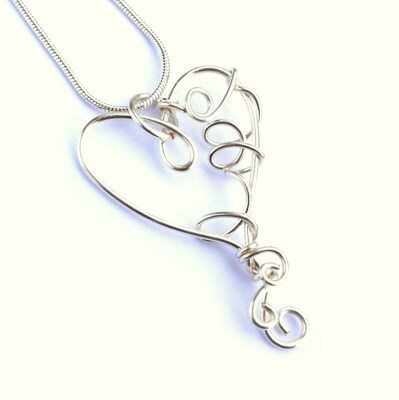 Then look no further than my new Sterling Silver Initial Necklaces. These have been shaped into a lovely calligraphy script style font and then hammered for strength and design and polished to create the perfect simple unique piece of jewellery, perfect for everyday wear. 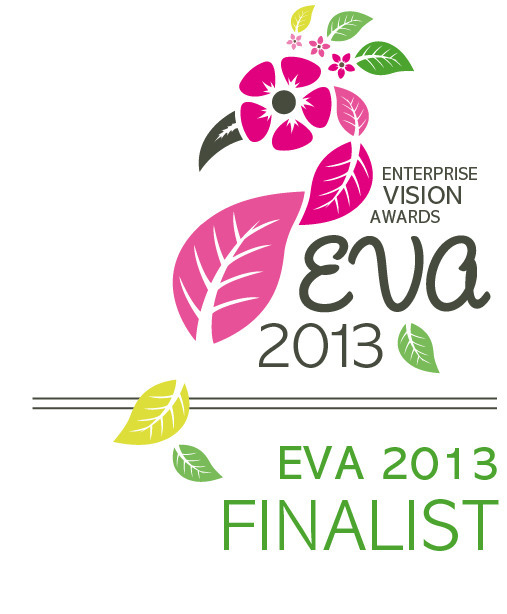 How surprised was I back in June when I received an email from the Enterprise Vision Awards confirming that I had been nominted for an award in the Sole Trader category! No idea who nominted me but "thank you" whoever you are out there! I was even more surprised to hear a couple of weeks ago that I had made it through the selection process and was a finalist! The next stage is a presentation and interview with three judges at the end of July and the the awards ceremony in October!! The public vote is now open and therefore I would be very grateful if you would vote for me! I've finally got around to making a full batch of wire wrapped stud earrings and have added these news ones to the website under their own separate category. In the past i've made a few pairs here and there but as I keep being asked for them recently I thought I would make up a selection of colours and have them as a permanent feature, both on the website and at my Jewellery Parties and Events. 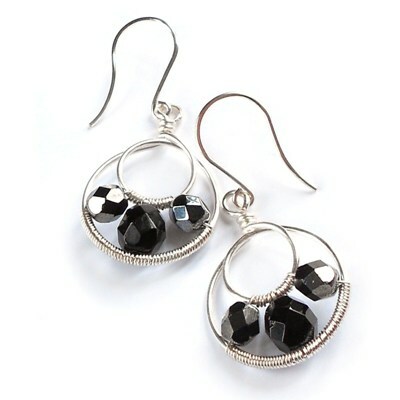 These are the perfect size for everyday wear! 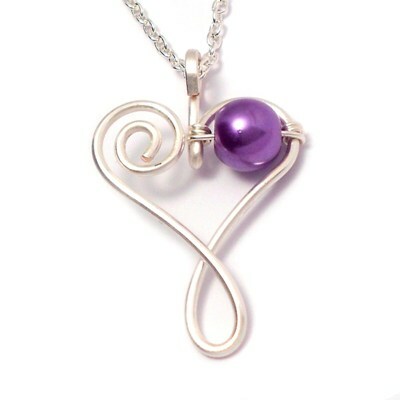 With Mother's Day approaching fast why not give that special Mum or Grandmother a beautiful Sterling Silver Birthstone Necklace that means that she can keep close to her heart the people that are most precious to her! 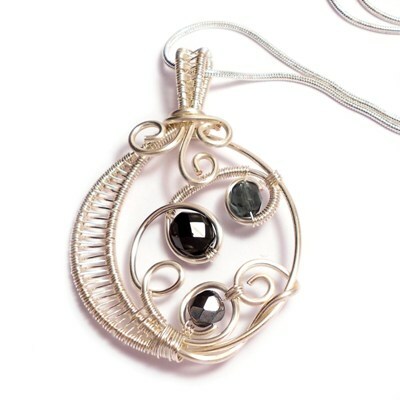 There are a number of different necklaces to chose from and you can have however many birthstones you require! Well after over a year of talking about it I've finally put together the first pieces to my Bridal Jewellery Collection! 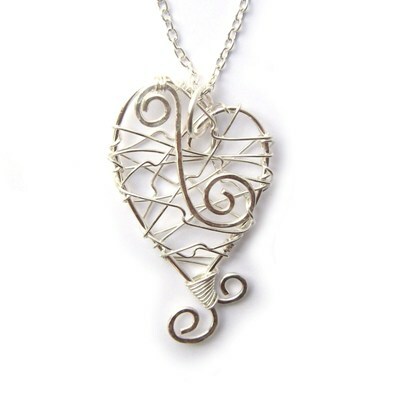 With my love of wire work I just knew that I could create some beautiful jewellery that would be perfect for a Bride's special day! I've decided to offer a mix of both silver plated and Sterling Silver items in order that I can accommodate all budgets and so that I can also push my creativity without necessarily breaking the bank! 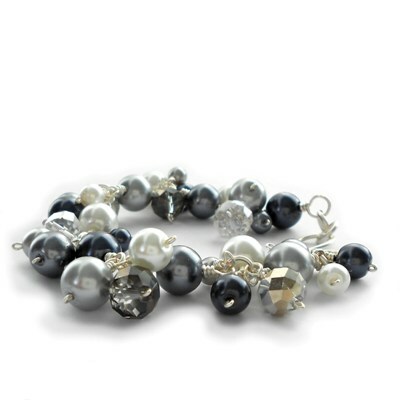 The Sterling Silver items also include other beautiful materials including Swarovski pearls and crystals and stunning AAA grade Crystal Quartz. I've definitely got the bug for creating Wedding Jewellery, therefore I will be constantly adding to my collection throughout the year! So keeping popping back to see what's new! Valentines Day is quickly approaching so why not treat that special someone in your life to a beautiful piece of handmade jewellery. You’ll definitely earn some brownie points with this extra special Valentine’s Gift. With all those Christmas and New Year parties to go to over the next few weeks you know that you need some handmade jewellery to add that touch of sparkle to your outfits! Check out some of my newest designs below! 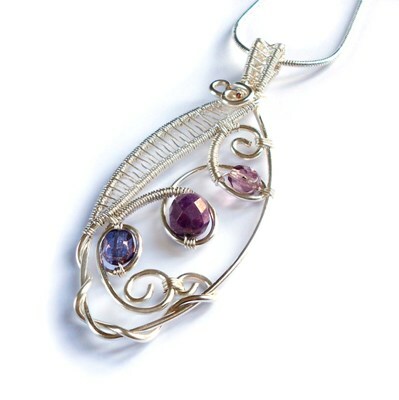 What a great way to treat a special someone this Christmas, with some handmade jewellery! I have many lovely unique pieces that would make the perfect gift!